iPad and mobile POS systems are the future for retailers, according to Forbes and many other business authorities. These systems offer a more streamlined, technologically-advanced, and comprehensive way to manage, organize, customize, and track many aspects of a business, both in terms of customer interaction and the behind-the-scenes tasks that managers are required to maintain constantly. iPad and mobile POS systems are the modern day cash registers and payment processors. 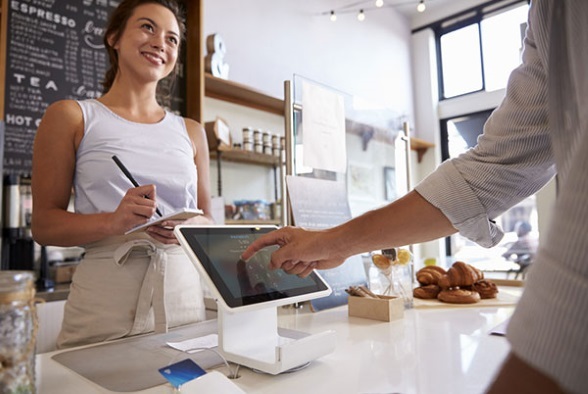 Technology is quickly evolving, and iPad POS systems allow retail, restaurants, and other businesses to attend to a larger number of customers with increased speed, usability, and efficiency. POS systems wear many hats. From basic register tasks to staff and inventory management, businesses utilize these systems for far more than simple payments. For this reason, it’s important to find the best system for your business and industry in general. Weighing the advantages of individual systems against your particular business needs will allow you to come to the right decision when selecting a system for your company. 1. What type of business do I run? Does it fall into the category of retail or restaurant or quick service? 2. Which POS systems cater to my business type? For example, these POS systems specialize in restaurant features, while these systems specialize in retail features. 3. What types of features are important to me? Is tracking inventory my #1 priority? Is data analytics most important? 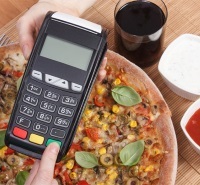 Different POS systems cater to different business needs. 4. The last question to figure out is what's your budget like? See our pricing section below to help you choose. And here are a few of the most important features to consider, as well as the advantages and disadvantages of this new technology. What Advantages and Disadvantages Are There to Using an iPad or Mobile POS System? Pricing for the service will vary based on the number of units, pricing plan, and package you choose. ShopKeep has no contracts, offering month-to-month payment plans starting at $69/month. Other brands will cost anywhere from $30-$400/month depending on the details of your contract. 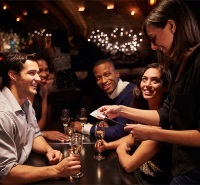 One of the most frustrating aspects for customers is waiting for their bill or receipt at a restaurant. iPad POS solutions alleviate this wait time by allowing wait staff to bring the POS system directly to the customer. Faster service is a positive reflection on your business. iPad POS solutions are also proven to have much faster training time than other systems. inventory was moved during the game and how much remained instantly. This is just one example of how iPad POS systems make inventory management considerably more efficient, easier, and less time consuming. Inventory orders are placed with the tap of a button and can even be scheduled in advance. Skimmers have become a notorious part of credit card purchasing. Scammers use these small machines to swipe your card when you pay for something, stealing the information in the process. Understandably, consumers have become wary of handing over their credit cards to wait staff or sales clerks because of these scams. iPad POS systems alleviate this fear by bringing the payment process directly into the customer’s view. Your customers never have to take their eyes off their card even for a moment. iPad POS systems allow businesses to connect to multiple devices and from anywhere. So the wait staff of a restaurant can connect their iPad to the kitchen staff’s kitchen display, and the manager can update the digital menu from his office. All of this is wireless, simultaneous, and instantaneous. Managers have a complete system for managing every aspect of their business including inventory, staff, customers and more, all under one convenient application. This can also be done remotely, allowing managers more flexibility, control, and even leisure time previously unavailable to them. iPad POS solutions are built to accept all currencies, even bitcoins and virtual currencies, to keep in step with evolving consumer demands. iPad POS systems are extremely adept at collecting customer, inventory, sales, and staff data. Additionally, these systems create intuitive and informative reports for comparison and review. While this may seem negligible compared to the other advantages, using the latest technology lends an air of professionalism and style to a business. This type of brand association is a positive boost for modern day businesses catering to millennials. The amount of savings on an iPad POS system compared to a standard POS system is considerable. The average system will run upwards of $20,000, while an average iPad system will be a fraction of that. ShopKeep​, for example, offers a complete package for just $1,000, along with flat monthly rates, so there are no surprises. Since iPads are fragile pieces of hardware, they are more likely to fall or break within busy business environments. Additionally, iPads are desirable items, posing a theft hazard. Relying on an evolving technology will require you to keep up to date with the latest models and software updates. Apple is notorious for launching new products and versions, frequently causing older versions to become obsolete quickly. iPad and mobile systems rely on a limited resource of applications for their services. This, however, is quickly being remedied by the fast-growing market. While many industries can utilize this smart technology, iPad POS systems are particularly advantageous for retail and restaurants. Consider the sales possibilities that arise when a sales clerk can quickly show a customer 5 different options for the pair of jeans she is looking for along with accessories, tops, and shoes to complete the outfit. Inventory management can save hundreds of hours over the course of the year, and faster payment processing is an additional benefit that retail customers will appreciate when they don’t have to stand in long lines at the register. Retail-centric brands include Revel, ShopKeep, and Harbortouch​. Some iPad POS systems are designed specifically for bars, clubs and restaurants such as Upserve​, stand to gain tremendously from these systems. Staff management tools allow managers to keep a closer eye on staff members’ activities, train new employees, and designate jobs more efficiently. Deals, loyalty programs, and rotating menu updates are faster, digital, and instantaneous, as well. More than half of all businesses out there today have or are planning on switching to an iPad based POS system this year. 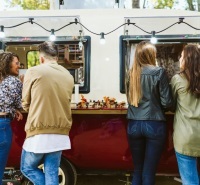 Prepare your own business for the mobile revolution by implementing smarter, faster, more involved, and more intuitive POS systems into your services by choosing one of these superior POS brands, today.